Radio audiences in the UK are at an all-time high, with figures showing that more than 45 million people tune in to radio shows every week. In the 15 years since Radio Joint Audience Research Limited (Rajar) began monitoring audiences, listeners have never been so keen to tune in. The rise in radio audiences is being attributed to new technologies which make accessing radio shows a lot easier. The internet for instance has enabled people to stream live radio through their computers, as well as streaming shows that have already aired, or downloading them as podcasts. 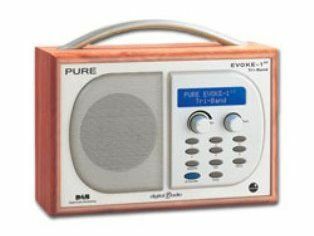 Radio-equipped mobile phones, MP3 players and digital television have also contributed to the revival of radio audiences. Rajar's methodology for collecting its data revolves around a diary which is filled in on a quarter-hour basis for one week by a representative sample of people across the UK . Around 130,000 people complete a Rajar diary in a calendar year. Jenny Abramsky, director of BBC audio and music, said: "It's great to see radio listening at a record high. "It proves that radio still plays an incredibly important part in people's lives and that, despite the range of new media available, listeners continue to value the close relationship they have with radio." There has been some dispute in past years as to the accuracy of Rajar's method of data collection. The former owner of commercial sport station TalkSport complained that Rajar consistently under-reported the station's audiences. He took his case to the High Court where it was soon dismissed.